This paper presents a brief review of the current casting techniques for single-crystal (SC) blades, as well as an analysis of the solidification process in complex turbine blades. A series of novel casting methods based on the Bridgman process were presented to illustrate the development in the production of SC blades from superalloys. The grain continuator and the heat conductor techniques were developed to remove geometry-related grain defects. In these techniques, the heat barrier that hinders lateral SC growth from the blade airfoil into the extremities of the platform is minimized. The parallel heating and cooling system was developed to achieve symmetric thermal conditions for SC solidification in blade clusters, thus considerably decreasing the negative shadow effect and its related defects in the current Bridgman process. The dipping and heaving technique, in which thin-shell molds are utilized, was developed to enable the establishment of a high temperature gradient for SC growth and the freckle-free solidification of superalloy castings. Moreover, by applying the targeted cooling and heating technique, a novel concept for the three-dimensional and precise control of SC growth, a proper thermal arrangement may be dynamically established for the microscopic control of SC growth in the critical areas of large industrial gas turbine blades. Shaft part rolling is an efficient and green near-net shaping technology offering many advantages, including high production efficiency, high material utilization rate, high product quality, and excellent production environment. In this paper, the features of shaft part rolling are introduced along with the working principles of two main shaft part rolling technologies, namely, cross wedge rolling (CWR) and skew rolling (SR). In relation to this technology, some R&D achievements gained by the University of Science and Technology Beijing are summarized. Finally, the latest developments in shaft part rolling are presented, including SR steel balls, precise forming of camshaft blank by CWR, SR phosphorous copper balls at room temperature, and CWR hollow axle sleeve. Although the shaft part rolling technology has been widely used in China, it only accounts for about 15% of applicable parts at present. Nevertheless, this technology has broad application prospects. Aluminum alloy is a preferred metal material for lightweight part manufacturing in aerospace, automobile, and weapon industries due to its good physical properties, such as low density, high specific strength, and good corrosion resistance. However, during forging processes, underfilling, folding, broken streamline, crack, coarse grain, and other macro- or microdefects are easily generated because of the deformation characteristics of aluminum alloys, including narrow forgeable temperature region, fast heat dissipation to dies, strong adhesion, high strain rate sensitivity, and large flow resistance. Thus, it is seriously restricted for the forged part to obtain precision shape and enhanced property. 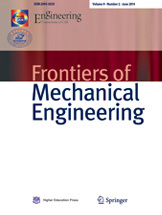 In this paper, progresses in precision forging technologies of aluminum alloy parts were reviewed. Several advanced precision forging technologies have been developed, including closed die forging, isothermal die forging, local loading forging, metal flow forging with relief cavity, auxiliary force or vibration loading, casting-forging hybrid forming, and stamping-forging hybrid forming. High-precision aluminum alloy parts can be realized by controlling the forging processes and parameters or combining precision forging technologies with other forming technologies. The development of these technologies is beneficial to promote the application of aluminum alloys in manufacturing of lightweight parts. Lost foam casting (LFC) is a green precision casting process categorized as a near net forming technology. Yet, despite its popularity, it still suffers from some technological problems, such as poor filling ability of the castings, coarse and non-dense microstructure, low mechanical properties for the Al and Mg LFC processes, and defective carburization for the low carbon steel LFC process. These drawbacks restrict the development and widespread application of the LFC process. To solve these problems, the present study developed several novel LFC technologies, namely, LFC technologies under vacuum and low pressure, vibration solidification, and pressure solidification conditions; expendable shell casting techno- logy; and preparation technology of bimetallic castings based on the LFC process. The results showed that the LFC under vacuum and low pressure evidently improved the filling ability and solved the oxidization problem of the alloys, which is suitable for producing complex and thin-wall castings. The vibration and pressure solidifications increased the compactness of the castings and refined the microstructure, significantly improving the mechanical properties of the castings. The expendable shell casting technology could solve the pore, carburization, and inclusion defects of the traditional LFC method, obtaining castings with acceptable surface quality. Moreover, the Al/Mg and Al/Al bimetallic castings with acceptable metallurgical bonding were successfully fabricated using the LFC process. These proposed novel LFC technologies can solve the current technological issues and promote the technological progress of the LFC process. Three types of near-net shape casting aluminum parts were investigated by computed tomography to determine casting defects and evaluate quality. The first, second, and third parts were produced by low-pressure die casting (Al-12Si-0.8Cu-0.5Fe-0.9Mg-0.7Ni-0.2Zn alloy), die casting (A356, Al-7Si-0.3Mg), and semi-solid casting (A356, Al-7Si-0.3Mg), respectively. Unlike die casting (second part), low-pressure die casting (first part) significantly reduced the formation of casting defects (i.e., porosity) due to its smooth filling and solidification under pressure. No significant casting defect was observed in the third part, and this absence of defects indicates that semi-solid casting could produce high-quality near-net shape casting aluminum parts. Moreover, casting defects were mostly distributed along the eutectic grain boundaries. This finding reveals that refinement of eutectic grains is necessary to optimize the distribution of casting defects and reduce their size. This investigation demonstrated that computed tomography is an efficient method to determine casting defects in near-net shape casting aluminum parts. Premature melt solidification is the solidification of a melt during mold filling. In this study, a numerical model is used to analyze the influence of the pouring process on the premature solidification. The numerical model considers three phases, namely, air, melt, and equiaxed crystals. The crystals are assumed to have originated from the heterogeneous nucleation in the undercooled melt resulting from the first contact of the melt with the cold mold during pouring. The transport of the crystals by the melt flow, in accordance with the so-called “big bang” theory, is considered. The crystals are assumed globular in morphology and capable of growing according to the local constitutional undercooling. These crystals can also be remelted by mixing with the superheated melt. As the modeling results, the evolutionary trends of the number density of the crystals and the volume fraction of the solid crystals in the melt during pouring are presented. The calculated number density of the crystals and the volume fraction of the solid crystals in the melt at the end of pouring are used as the initial conditions for the subsequent solidification simulation of the evolution of the as-cast structure. A five-phase volume-average model for mixed columnar-equiaxed solidification is used for the solidification simulation. An improved agreement between the simulation and experimental results is achieved by considering the effect of premature melt solidification during mold filling. Finally, the influences of pouring parameters, namely, pouring temperature, initial mold temperature, and pouring rate, on the premature melt solidification are discussed. Compared with conventional injection molding, injection-compression molding can mold optical parts with higher precision and lower flow residual stress. However, the melt flow process in a closed cavity becomes more complex because of the moving cavity boundary during compression and the nonlinear problems caused by non-Newtonian polymer melt. In this study, a 3D simulation method was developed for injection-compression molding. In this method, arbitrary Lagrangian-Eulerian was introduced to model the moving-boundary flow problem in the compression stage. The non-Newtonian characteristics and compressibility of the polymer melt were considered. The melt flow and pressure distribution in the cavity were investigated by using the proposed simulation method and compared with those of injection molding. Results reveal that the fountain flow effect becomes significant when the cavity thickness increases during compression. The back flow also plays an important role in the flow pattern and redistribution of cavity pressure. The discrepancy in pressures at different points along the flow path is complicated rather than monotonically decreased in injection molding. Injection molding is one of the most widely used material processing methods in producing plastic products with complex geometries and high precision. The determination of process parameters is important in obtaining qualified products and maintaining product quality. This article reviews the recent studies and developments of the intelligent methods applied in the process parameter determination of injection molding. These intelligent methods are classified into three categories: Case-based reasoning methods, expert system-based methods, and data fitting and optimization methods. 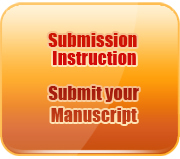 A framework of process parameter determination is proposed after comprehensive discussions. Finally, the conclusions and future research topics are discussed. A three-stage molding process involving microcellular injection molding with core retraction and an “out-of-mold” expansion was developed to manufacture thermoplastic polyurethane into lightweight foams of varying local densities, microstructures, and mechanical properties in the same microcellular injection molded part. Two stages of cavity expansion through sequential core retractions and a third expansion in a separate mold at an elevated temperature were carried out. The densities varied from 0.25 to 0.42 g/cm3 (77% to 62% weight reduction). The mechanical properties varied as well. Cyclic compressive strengths and hysteresis loss ratios, together with the microstructures, were characterized and reported. Tissue engineering (TE) is an integrated discipline that involves engineering and natural science in the development of biological materials to replace, repair, and improve the function of diseased or missing tissues. Traditional medical and surgical treatments have been reported to have side effects on patients caused by organ necrosis and tissue loss. However, engineered tissues and organs provide a new way to cure specific diseases. Scaffold fabrication is an important step in the TE process. This paper summarizes and reviews the widely used scaffold fabrication methods, including conventional methods, electrospinning, three-dimensional printing, and a combination of molding techniques. Furthermore, the differences among the properties of tissues, such as pore size and distribution, porosity, structure, and mechanical properties, are elucidated and critically reviewed. Some studies that combine two or more methods are also reviewed. Finally, this paper provides some guidance and suggestions for the future of scaffold fabrication.